Update: The Missouri Department of Conservation traced the bear cub's origins -- they no longer believe him to have rabies and he will not be euthanized. An investigation is pending. For many years, as a way to celebrate the last weeks of the school year, officials at Washington University in St. Louis, Mo. have allowed a local petting zoo to set up on campus -- this year the petting zoo included a two-month old bear cub named Boo Boo. While being handled by various students, the leashed cub reportedly bit 14 students, and while most of these bites were not enough to warrant medical attention, in a few cases, skin was broken. 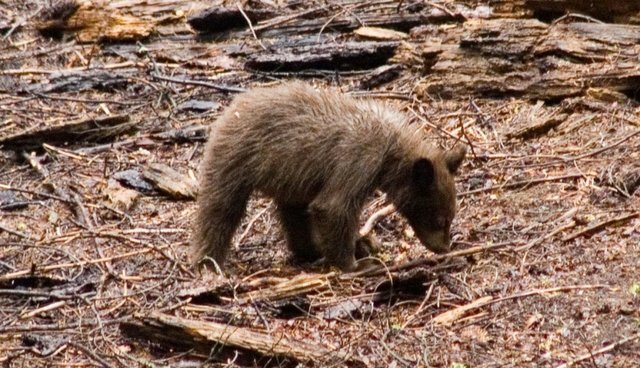 This led officials to speculate that the baby bear -- who was born in the wild -- might have rabies. And for that reason, the bear cub is set to be euthanized, which is the only way to test for rabies. It's unclear how the petting zoo came to be in possession of a wild bear cub, and it's also unclear why Boo Boo wasn't removed from the premises after any sign of agitation. However, this is a very clear example of what can happen when a wild animal is forced to interact with humans in unfamiliar settings.